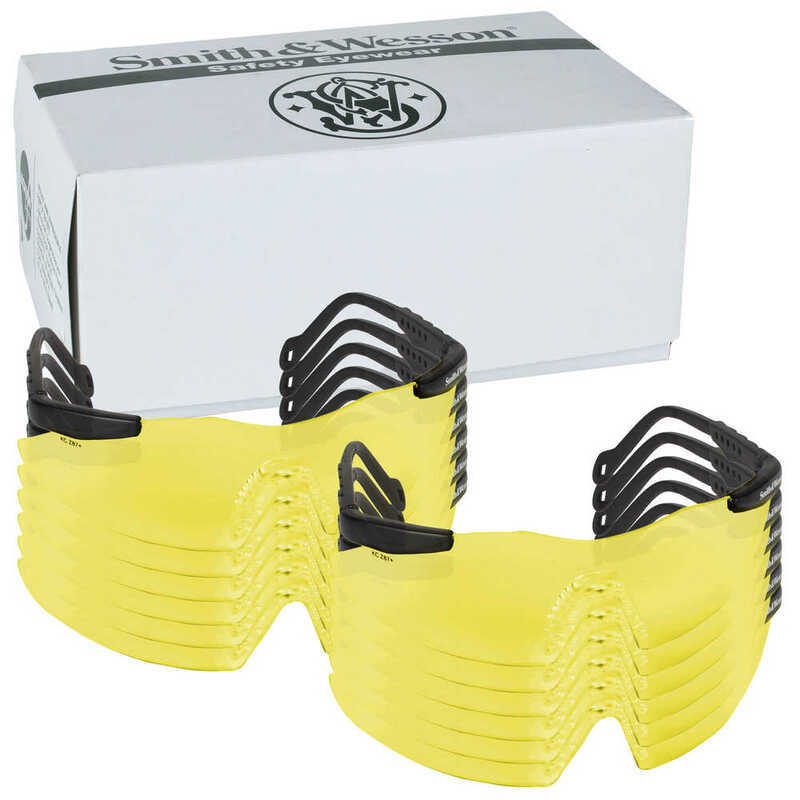 Smith & Wesson 3G Mini Safety Glasses offer a stylish solution designed for all-day comfort. 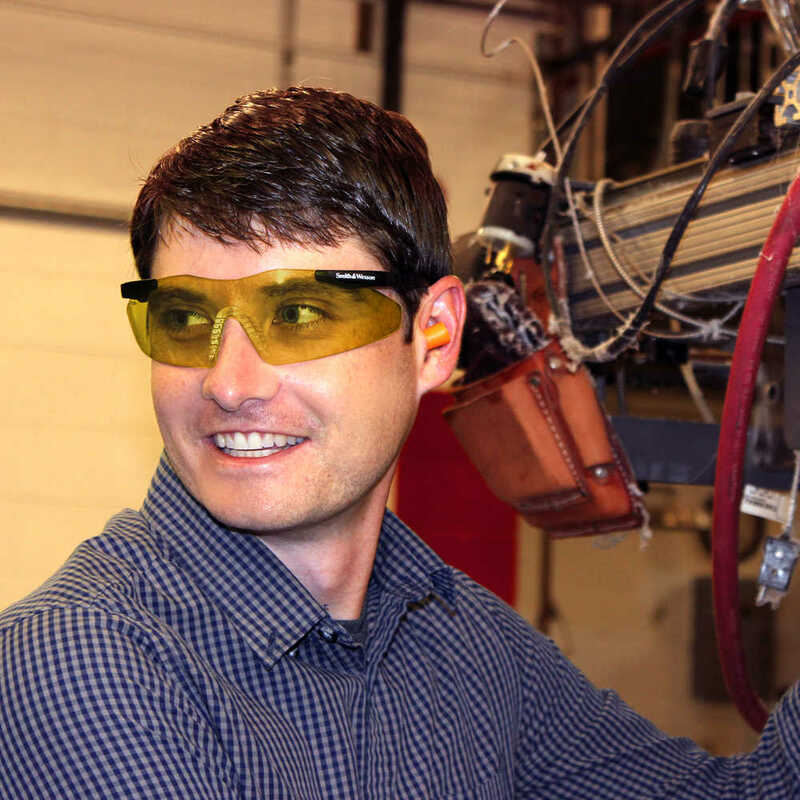 The safety glasses give you more than the average glasses: built-in hinge stops to help prevent lens damage and a self-adjusting nose pad with rubber fingers to prevent the glasses from slipping. 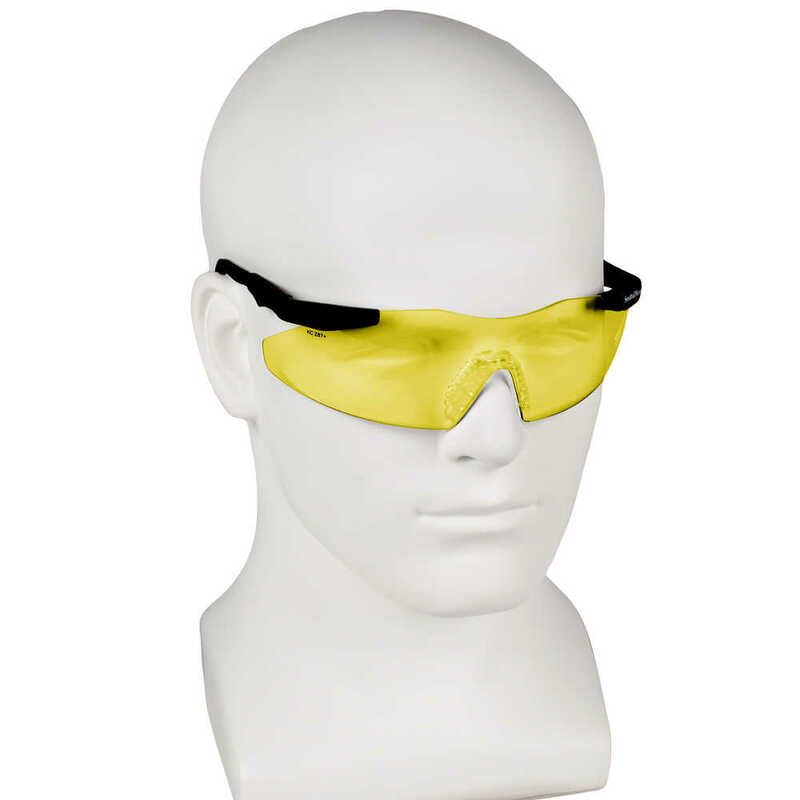 The Minis are sized to fit smaller, slimmer heads and come with 4-length adjustable temples, so you can get a custom fit. 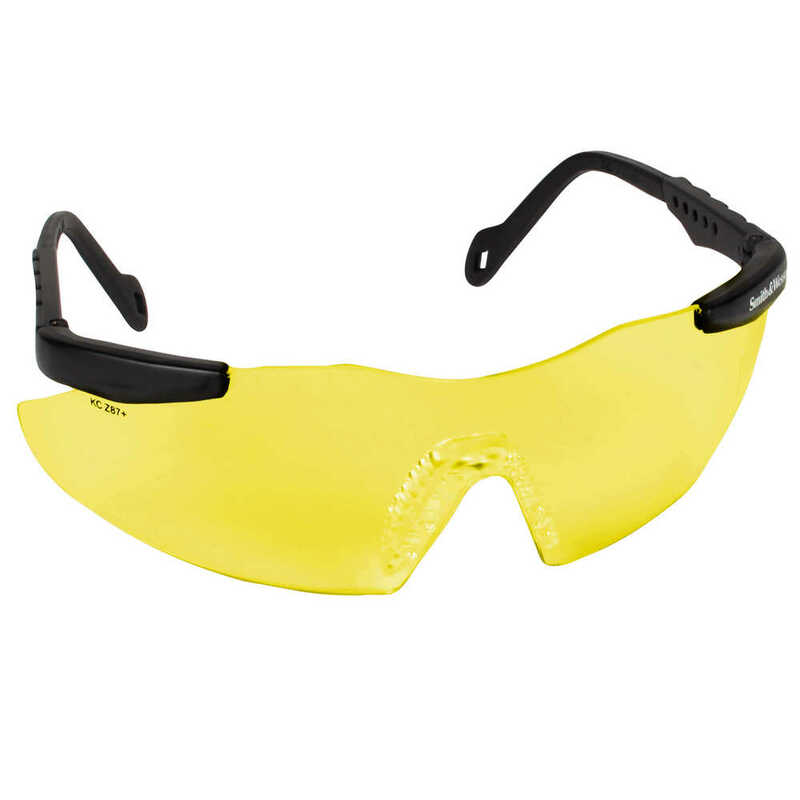 These stylish glasses (black frames with amber lens) provide 99.9% UVA / UVB / UVC protection and meet ANSI Z87.1+ standards for high impact, so you can choose them confidently. 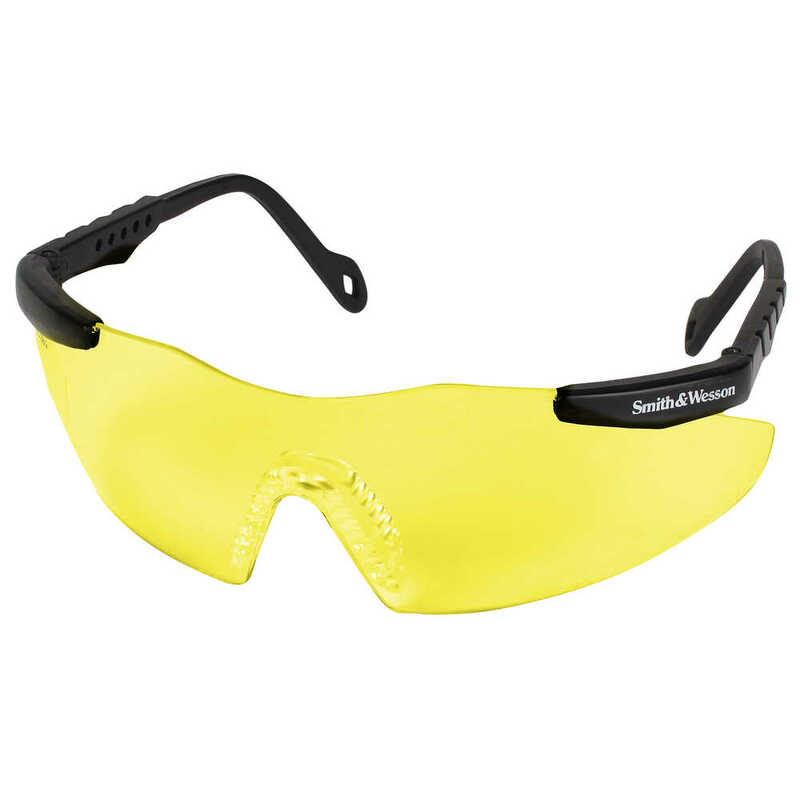 If you’re wearing safety glasses day in and day out, you need premium options that are unmatched in style, quality and comfort. 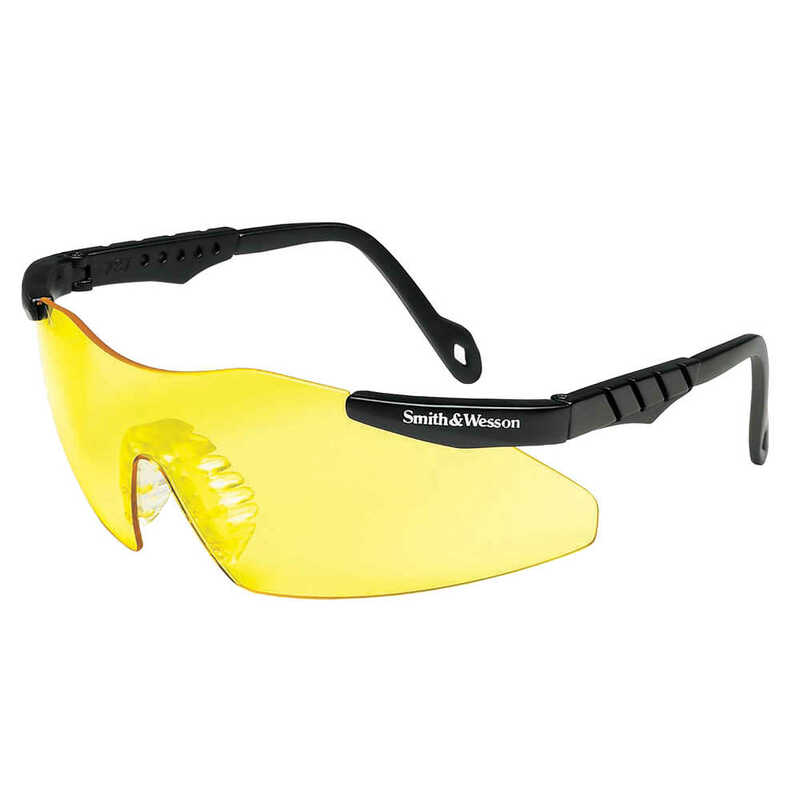 Whether you’re on the job, at the gun range, doing yard work or driving, Smith & Wesson Magnum 3G Mini Safety Glasses deliver the comfort and style you need.